Hard-boil the eggs. Once cooked, cool them down and remove the shells. Cut into thin slices or use an egg slicer. Wash the potatoes. Place them in a saucepan of boiling water and boil until cooked (don’t overcook them). Pour away the hot water and pour over cold water to speed up the cooling process. Slice them into about ½ cm thin rounds. Cut the onion in half and slice really thinly. Slice the bread into small bite size square or rectangular pieces. 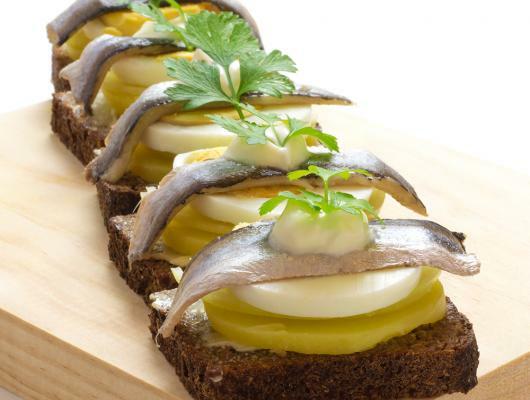 Spread with a thin layer of butter, place a potato round onto the bread, season with salt & pepper, top with an egg slice, followed by some onion, a fish slice, and about a tea spoon of crème fraiche. Garnish with fresh flat leaf parsley, transfer on to a serving plate and you are ready to serve! 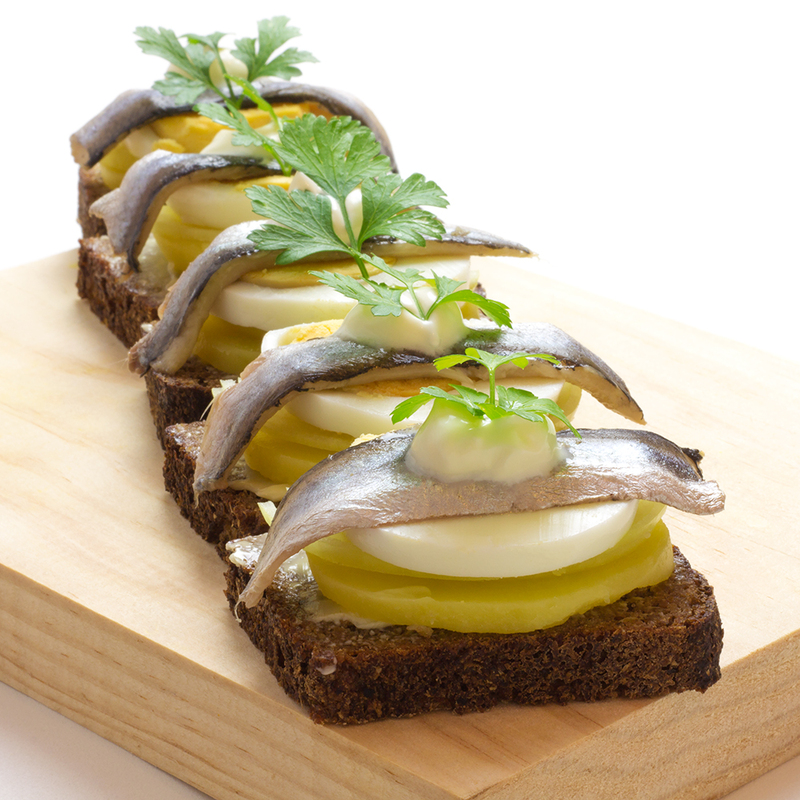 These canapés are a very popular party food in Estonia, Sweden and Finland although they may slightly vary from country to country.